On June 12th our Chapter partnered with Cleveland Bratislava Sister Cities for a presentation by Jonathan Kinser, PhD to hear a summary of his doctoral thesis work on the KKK’s impact on the Slovak community in Youngstown in the 1920’s. The well attended meeting of about 30 listened to Dr. Kinser describe the versions of the Ku Klux Klan: the southern version was more racially oriented and the norther version was more ethnically biased. Did you know that there was an African American chapter of KKK in Ohio! Discussion followed on the Slovak resistance which was more political than the Italian community reaction which was more violent. SVU’s Paul Burik, who translated many of Dr. Kinser’s research articles, presented a few excerpts from Slovak newspapers at the time that illustrated the often violent events that took place and the role of Slovak women in organizing political opposition. Also this summer the Chapter held a picnic in the Czech Cultural Garden on August 13th. Several members enjoyed a sunny afternoon and the culturally rich environment of the Garden. Brief presentations were made on three of the six busts located in the Garden: Jindrich Simon Baar, Karel Havlicek Borovsky, and Francis Palacky. 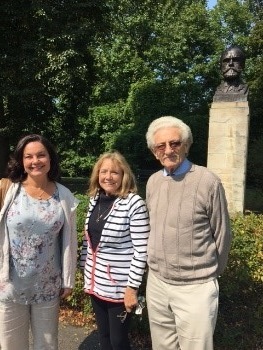 We discussed ideas to commemorate 100 years of founding of Czechoslovakia next year; 1918 – 2018. 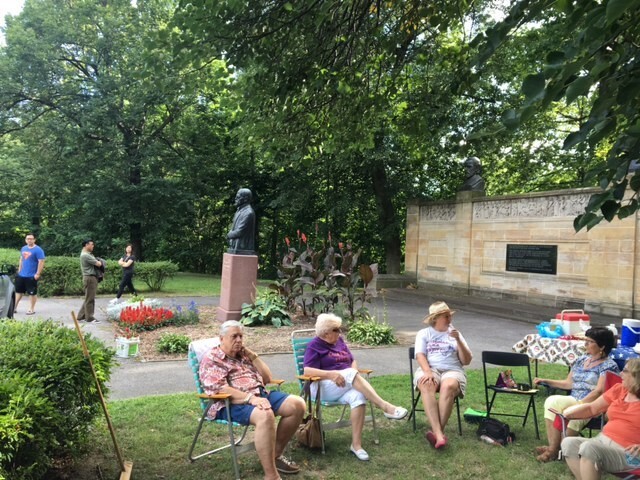 Cleveland Chapter members enjoy a picnic in the Czech Cultural Garden with the statue of T.G. Masaryk. Also, the Chapter hosted Martina Jankova, Czech operatic star, while she is in Cleveland to perform the lead role in Janacek’s “Cunning Little Vixen” with the renowned Cleveland Orchestra. 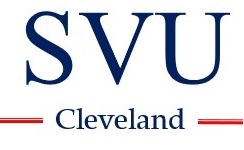 Tour of the city and some of the Czech venues illustrated the Czech, Slovak and Rusyn heritage in Cleveland. Martina enjoyed the revitalized downtown area the most, and shared her point of view on artist abroad over a lunch at the Art Museum. Coming up is the annual commemoration of the foundation of Czechoslovakia by placing a wreath at the statue of Masaryk in the Czech Garden and the statue of Stefanik in the Slovak Garden in October.